What would be in the agenda for a Girls’ Getaway Trip for a couple of days? Nice accommodations, great food, a spa visit, chocolate, maybe some pastries, a couple of cocktails, and good wine come to mind. My girlfriend and I were about to embark on one of those great trips. We both planned our trip around an #IFWTWA (International Food, Wine & Travel Writers Association) media trip to Carmel, CA. Our first stop was about halfway to Carmel in Pismo Beach, CA. Pismo Beach is such a perfect beach town with iconic small hotels and dramatic ocean views. 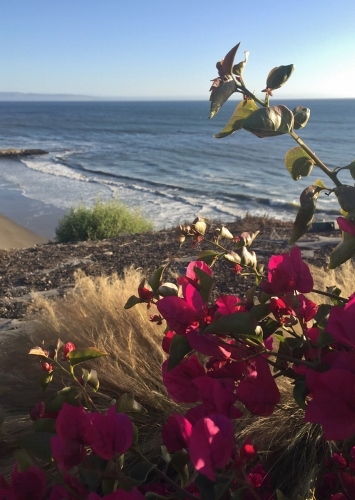 While we love those small, quaint hotels, since this was a Girls’ Trip where we wanted to pull out all the stops, we stayed at The Dolphin Bay Resort & Spa, listed as #1 on TripAdvisor. 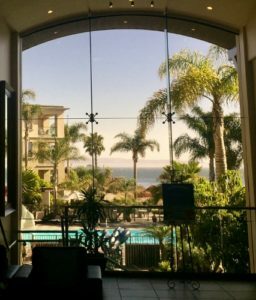 Once we arrived, we checked in through doors opening to the lobby with a grand view of the ocean out the oversized window. Next stop was our suite. We were awed. We had a huge and completely appointed two-bedroom suite, including a large kitchen and living room that included a fireplace. The view of the ocean from our lanai was magnificent. Starved from our long drive, we were excited to meet Executive Chef Jacob Moss who has been with Lido, The Dolphin Bay Resort restaurant, for five years. Prior to his time at Lido, he attended Le Cordon Bleu. 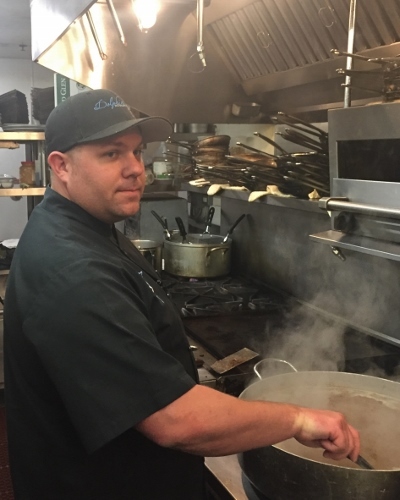 Jacob knows the restaurant business thoroughly, having worked in every position from bussing tables and doing dishes to being a kitchen supervisor and eventually an executive chef. 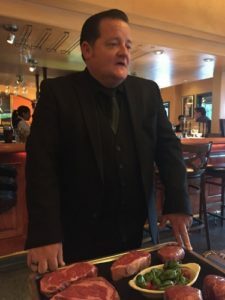 He brings a unique knowledge of Italian cooking from his experience working in Florence at a small, fine dining restaurant as well as four years at an Asian Sushi restaurant which taught him a lot about plating and presentation. After talking with Chef Jacob, we were delighted with the opportunity to try the Chef’s Tasting Menu, a five-course menu served with a wine pairing for each course. 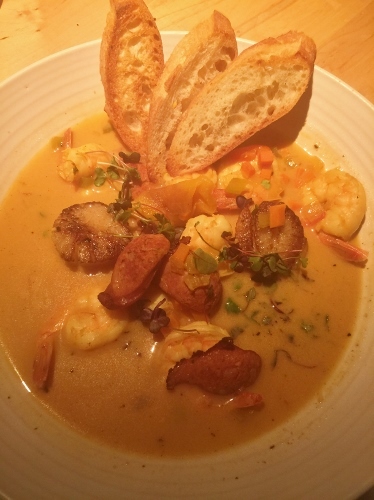 One of our favorites was the Chickpea & Crab Chowder served with Lieu Dit Chenin Blanc from the Santa Ynez Valley. The second course favorite was an Herb Grilled Ahi served with a cucumber and watermelon salad and paired with Jean-Marc Brocard Chardonnay from Chablis. On to our third course and two wonderful fish dishes—Wild Alaskan Salmon plated with a citrus rice and spicy eggplant and paired with Chamisal Vineyards Pinot Noir from Edna Valley and a perfectly prepared Seared Alaskan Halibut served with horseradish sunchoke puree and a cherry tomato relish accompanied by Domaine Dupeuble Gamay from Beaujolais. Oh, but we were just getting to the main course! My girlfriend chose the 8 oz. Black Angus Filet Mignon with cream cheese whipped potatoes and charred white asparagus and a glass of Justin Isosceles from Paso Robles. I selected the Spring Lamb with a Dijon and pecan crust, fennel puree, and prosciutto-wrapped asparagus paired with Tablas Creek Patelin de Tablas from Paso Robles. After these wonderful courses, we certainly didn’t need more food, but what would a Girls’ Getaway be without dessert! Again, we shared each of the two choices. The Cook Out was a grilled brown butter pound cake with passion fruit curd, fresh figs, and honeyed chevre served with Taylor Fladgate Tawny 10 year from Portugal. Chocolate is a must for a Girls’ Getaway, and the Chocolate! of rich semifreddo bittersweet chocolate shell and white chocolate cookie cigar did not disappoint. The perfect pairing for this dense chocolate dessert was the Saucelito Canyon Late Harvest Zinfandel from Edna Valley. Our luxurious accommodations were a welcome treat after this not-to-be-missed dinner. We sat on our lanai and listened to the ocean before heading to our spacious rooms for the night. Lido serves a Three Course Brunch on Saturday, Sunday and Monday which we had to try. 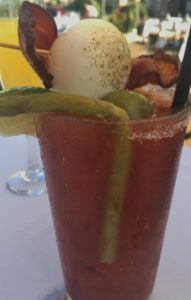 My friend started her brunch with a Breakfast Bloody Mary. Oh my! We were amazed because it truly was a full breakfast in a glass. Our choices for brunch were the Scramble Florentine and the Lido Eggs Benedict with Smoked Salmon. My server suggested having the Eggs Benedict atop a slice of tomato instead of the usual English muffin which was a great choice. We glanced at the spa and although it looked inviting, we needed to drive to Carmel to meet our fellow media writers for the next part of our trip. We vowed we would come back for the total experience with a spa reservation next time. The Hofsas House awaited us in Carmel. Hospitality, charm, and quaintness are all words to describe the Bavarian-themed Hofsas House which has been run by the Theis family for over 60 years. Each room is unique with old-world charm. My room even had a fireplace and heated floors in the bathroom. Every room is exceptionally clean; the warm hospitality by the owners adds to the Bavarian charm. Flowers abound around every corner; the fragrance from the flowering shrub was intoxicating when I arrived at the Dutch door to my room. 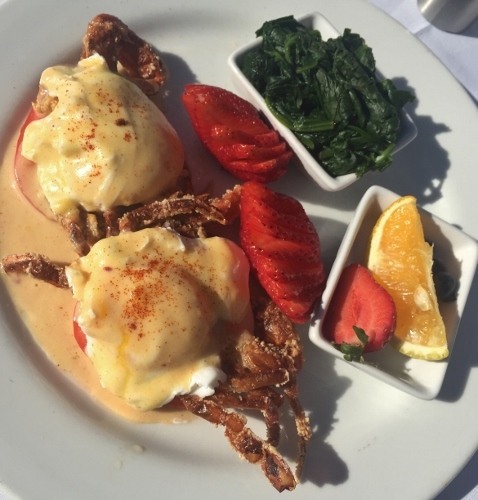 The Hofsas House’s central location to the downtown area as well as its reasonable price for a night’s stay should appeal to those looking forward to exploring Carmel-by-the-Sea. In addition, The Hofsas House has pet-friendly rooms with pet concierge services. A continental breakfast is also included in the stay. Carrie Theis, general manager/owner advised us about the many packages Hofsas House offers as possibilities for your stay such as a Carmel Wine Walk-by-the-Sea Passport or a choice of six different golf courses in the area at a reduced rate. 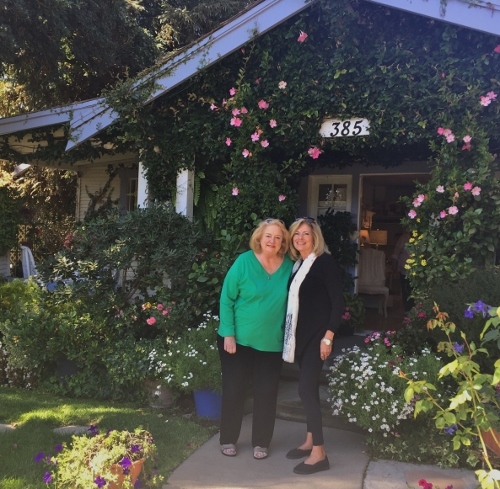 Carmel is described as a “Village in the Forest by the Sea” with no numeric addresses or mailboxes, and no buildings higher than two stories. It has no neon signs or franchise food chains or big box stores. Carmel-by-the-Sea has glorious white sand beaches and many artists in residence. The beginnings of Carmel as an art colony started after the San Francisco earthquake when many artists packed up their work and moved to Carmel. In addition to art, Carmel now has 15 wine tasting rooms, and Monterey County has been called the new up-and-coming wine region. 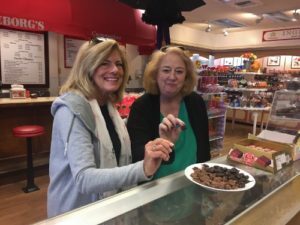 We used the Carmel Wine Walk-by-the-Sea Passport to experience several of the tasting rooms in Carmel. Caraccioli Cellars wine tasting room with the only sparkling wine in Monterey County blends the feel of an intimate wine tasting with a contemporary setting where wine is served on a Perota bar slab. 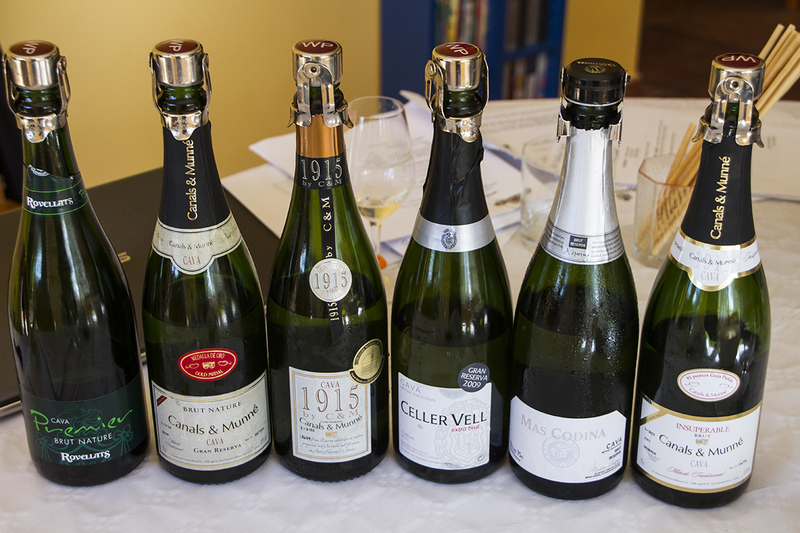 I highly recommend the 2009 Brut Cuvee as well as the 2010 Brut Rose. One of the other stops we all enjoyed was Figge Cellars, a small lot production winery. 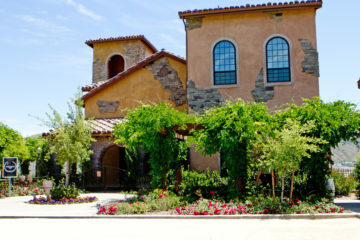 This tasting room exudes a welcoming environment and exquisite Pinot Noirs. 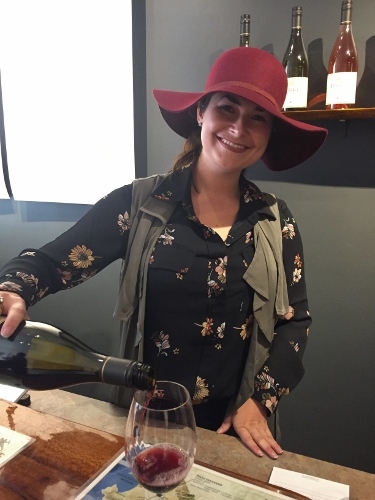 We were charmed by the tasting room manager, Amanda, and her hospitality. 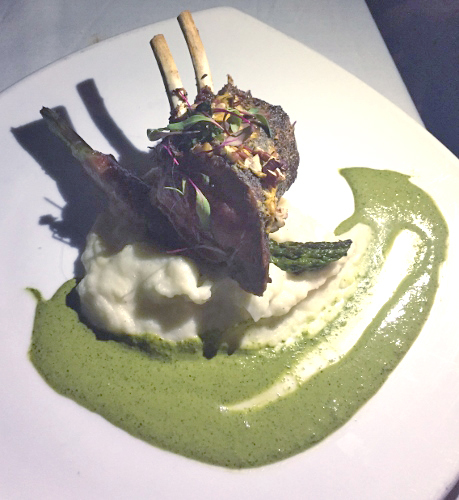 That evening we ate dinner at the Whaling Station in Monterey, a restaurant known for steaks. Our server brought us a platter full of every cut of steak imaginable so that we could see firsthand the quality of the meat. The salmon special for the evening sounded the most enticing to me, plated atop risotto with a creamy sauce and fresh asparagus alongside the salmon. 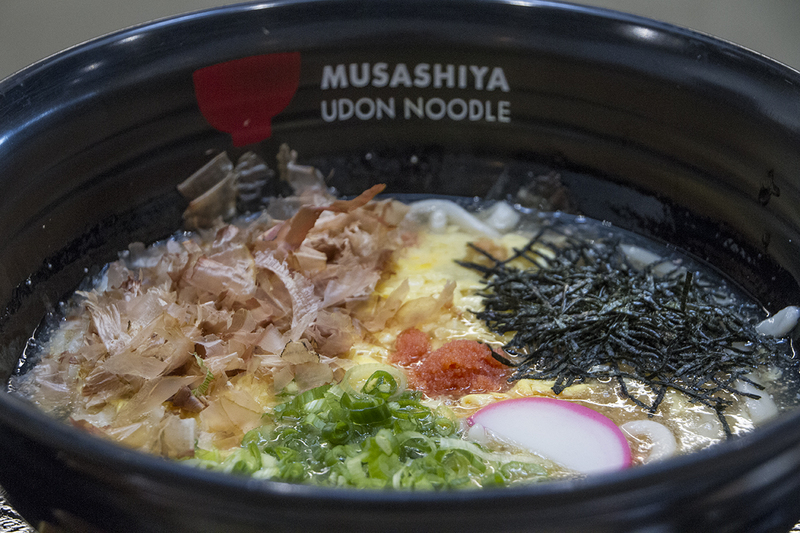 Sometimes after so much rich food, it just tastes good to eat something light and healthy. For lunch the next day we found the perfect spot. 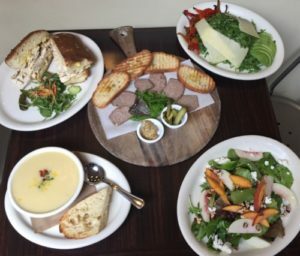 Carmel Belle sources its ingredients from local farmers and purveyors that practice sustainability; many items are organic. I highly recommend several of their salads. Both the Stonefruit, Toasted Pecan & Goat Cheese with mixed greens and lemon vinaigrette and the Avocado, Market Vegetable & Shaved Farmstead Cheese with arugula & lemon vinaigrette were excellent. After our light lunch, we had to say goodbye to Carmel, but we both agreed we would like to have had at least two days there to explore all that Carmel has to offer. We were headed to Solvang, but we couldn’t resist taking the 17-mile drive that we had heard so much about before we left. The drive was beautiful with great views of the ocean, mansions, and golf courses. Solvang charmed us immediately. 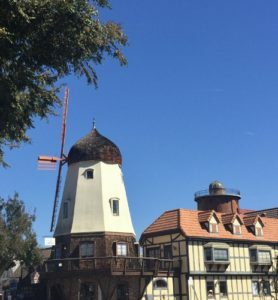 The windmills and bakeries as well as a few wine tasting rooms provide a perfect environment to make a person feel like they have traveled out of the country. We were staying at the Hadsten House which is currently rated as #3 on TripAdvisor. Once we checked in and saw our rooms, we were very impressed. 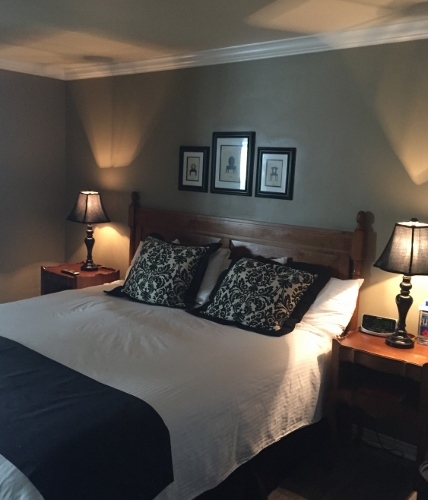 Each room is decorated in a contemporary style complete with a fireplace and a large bathroom. In addition to the clean and contemporary room, a full breakfast is offered. We had been told that Hadsten House is known for its bacon on the breakfast buffet, and we can attest that it is delicious. It was time to continue our Girls’ Getaway and that meant time to meet our gracious host, Laura Kath, Media Relations Director for the Solvang Conference & Visitors Bureau. Lucas & Lewellen Wine Tasting Room had invited us to sample their fine wines grown locally in Santa Maria, Los Alamos, and San Ynez. Louis Lucas, owner and viticulturist for Lucas & Lewellen, took time out of his busy day of harvesting to talk with us about their wines and let us sample a wide variety. They grow grapes on 400 acres and have 25 varieties of grapes, an extremely large production and a very wide variety of grapes. They average 18 tons of grapes each year. 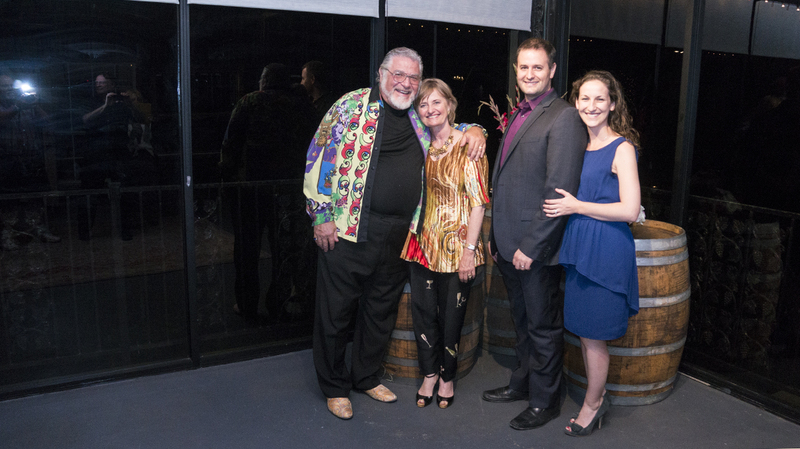 Louis grew up in vineyard country since his father was from Croatia and grew table grapes. Royce Lewellen, his partner, was a Superior Court judge. The first grapes Lucas planted were in 1970. He currently sells half his crop to Napa as well as 15 other states. Much is sold in California, but also in the Carolinas, Texas, and Virginia. Megan McGrath, the winemaker, went to Cal Poly and then worked in Napa and has been with them for nine years. When it is time to harvest, the sugar, acid, and ph level are measured. When at the appropriate levels, the grapes are brought to the winemaker to crush samples for a check of their color. With red wines, the skins dictate when they pick. 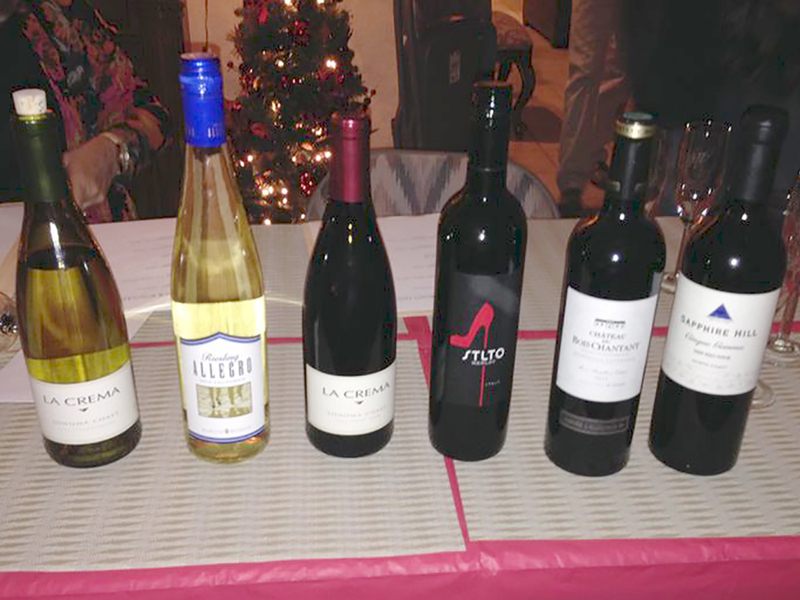 Neither my girlfriend nor myself planned on purchasing any wine, but after sampling these delicious wines, we ended up buying a case. A couple of our favorites were the Pinot Noir, Syrah, and Chardonnay, but there were many others I also enjoyed. 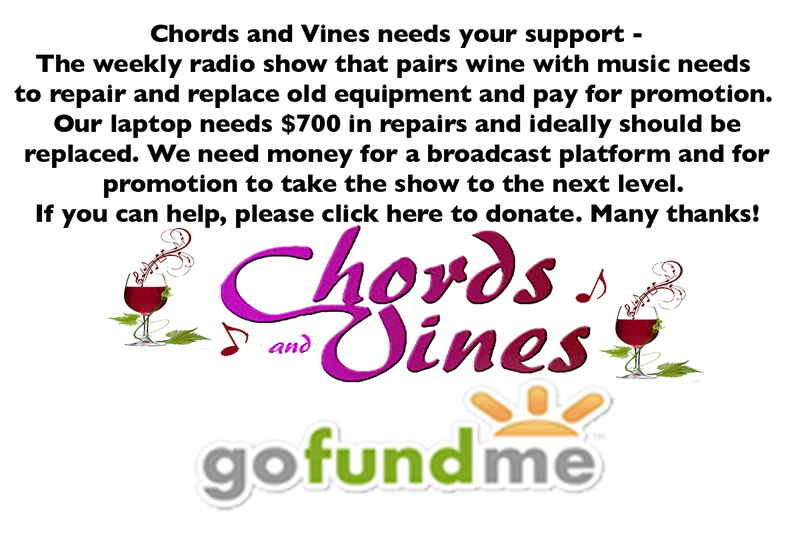 As Louis said to us, “Wine is culture. Wine is history.” How could we resist. Dinner reservations were made at Mad & Vin at The Landsby. Entering the Landsby gives you a feeling of warmth and stylish accommodations. The Landsby, a boutique hotel, offers a clean contemporary design, with a hint of traditional Scandinavian aesthetic. Our restaurant for the evening, Mad & Vin (food and wine in Danish), exudes the same atmosphere. The restaurant overlooks the lovely courtyard garden and features seasonal ingredients from the California Central Coast, with wine-country cuisine flavors and acclaimed locally produced wines. Our starter for the evening was Castelvetrano Olives & Spiced Nuts. The warm, sweet herb-marinated olives accompanied by spiced Marcona almonds and filberts delighted us for its contrast with our shrub-infused fruit cocktails. We also opted for the Seafood Ceviche, perfectly plated with a refreshingly clean and fresh flavor. My partner for the evening’s meal chose the Seafood Hot Pot consisting of Pacific white shrimp, clams, scallops, and Linguiça. My choice for the evening was the Porterhouse Lamb Chop which was pan seared and served with garlic smashed fingerlings, Brussels sprouts, all in a mint chimichurri broth. Care was given to the presentation of every course, a quality almost as important as the food itself. 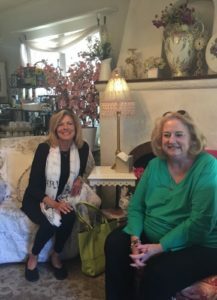 After our breakfast served at The Bistro at Hadsten House, we were off to explore Solvang to see what delights awaited us. The Solvang Bakery is chock full of Scandinavian delights. Even though we had just finished breakfast, a Danish and good cup of coffee was in order. Guess what we found just around the corner? Ingeborg’s, Solvang’s chocolate factory grabbed us and forced us to sample some melt-in-your-mouth chocolates. Of course, we had to take a box home to a friend. All women love to shop, and The Copenhagen House, a modern retail emporium of contemporary Danish products complete with an Amber Museum and Hall of the Danes beckoned us to delve into all things Danish. We found a contemporary salad bowl and tongs to give as the perfect gift for a friend. 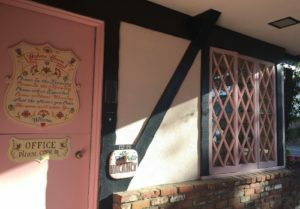 The one last stop in Solvang for our Girls’ Getaway was an appointment at Enchanté Cottage Spa. This is a place not to be missed with its glorious garden of roses and a plethora of many other flowers replete with a charming interior of shabby chic décor. My appointment was with Deborah; I was ready for pampering. My gel manicure was executed to perfection down to the relaxing feel of my arms resting on a heating pad. Deborah told us if you plan on having your nails done, you need to schedule ahead about two weeks. After so much food, wine, and luxury, we headed back to our homes loaded down with presents and photos of a wonderful few days spent traveling together and many fond memories of those special days together. Wine In Texas? You’d Best Believe It! I’m blessed to have Linda on my team!